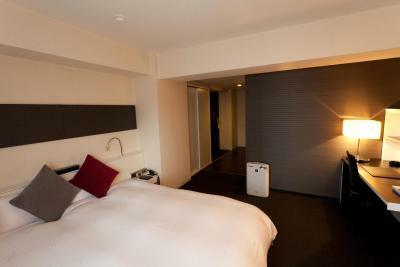 Lock in a great price for Cross Hotel Osaka – rated 8.8 by recent guests! 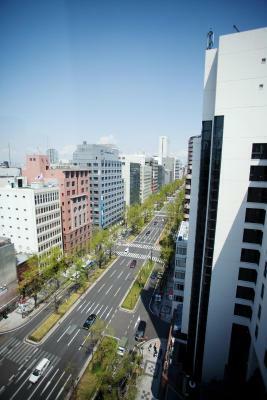 Great location - close to shopping, particularly the Shinsaibashi dori and a lot of restaurants. Access to public transportation is good and the staff is very accommodating. They have English speaking associates on staff. 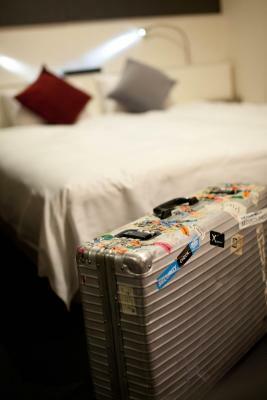 The twin room we had was not large but sufficient for two with enough space for our luggage and all our shopping bags. It is in the Shinsaibashisuji area but about a block from the Ebisu bridge and the hotel front faces the main thoroughfare. This is great because of the hordes going over and around the canal, you aren’t fighting through the crowds to get to your hotel. Mixed group of guests - Europeans, Americans, Japanese, Chinese and more. Rooms are spacious and immaculately clean. Staff were always friendly and were very accommodating. Location is perfect, close to restaurants, subway (both metro and JR), shopping. Highly recommended. The staff were extremely friendly and location was great! Loved, loved, loved the tub and the vanity chair in the bathroom! I’m going to miss that back home. Location was great, very close to Dotonbori. Side door of the hotel leads out to Ebisu bridge, shopping, and dining. The breakfast buffet was exquisite. 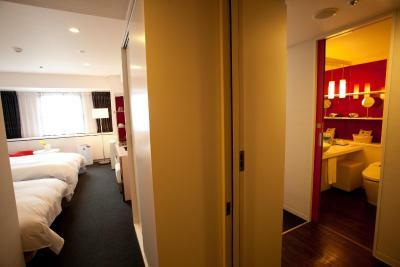 Prime spot, great staff, comfy bed, great view over dotonbori and great price. The location and decor were great. The rooms were comfortable and well maintained. The full size tub was definitely a plus. Conveniently located to restaurants and activities. Awesome modern hotel, close to everything and wonderful service! Great food, great location, great room, great amenities (pour-over coffee, bath, tv). All around a great experience! Can’t beat the location. Lovely hotel. Super helpful staff. 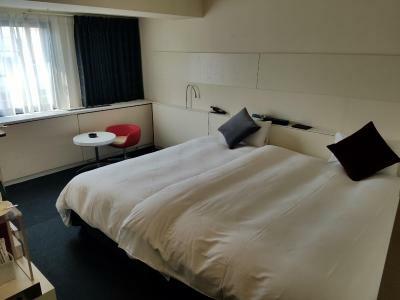 Cross Hotel Osaka This rating is a reflection of how the property compares to the industry standard when it comes to price, facilities and services available. It's based on a self-evaluation by the property. Use this rating to help choose your stay! 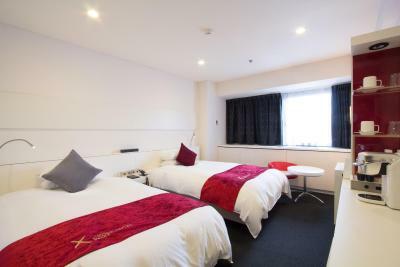 One of our top picks in Osaka.Recommended by the Michelin Guide, Cross Hotel Osaka is just a minute's walk from the Dotonbori area and a 3-minute walk from Namba Subway Station. The stylish rooms include free WiFi internet, a complimentary bottle of water and private bathrooms. Shinsaibashi Subway Station is only a 5-minute stroll from the hotel. 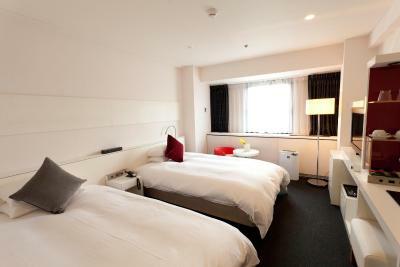 Guests at the Osaka Cross Hotel can relax in the modern furnishings and enjoy watching the flat-screen TV. Each air-conditioned room has a fridge and air purifier. 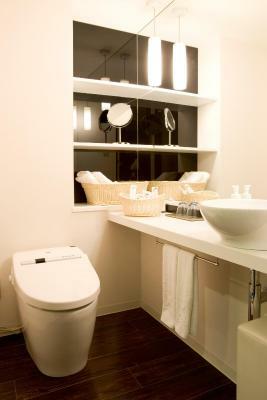 There is an private bathroom, and hairdryers, slippers and bath amenities including a toothbrush set are provided. Guests will also find a green tea set in the room. 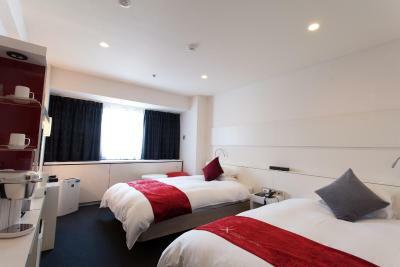 Hotel Cross Osaka is just a 5-minute walk to America-mura Village and a 20-minute train ride from Shin-Osaka Shinkansen (Bullet Train) Station. Kansai International Airport is a 40-minute train ride away. Bar Seagull pours drinks in a simple yet sophisticated decor. Lime restaurant is open as well, and sweets can be purchased at the Cafe TABLES. Glamorous-X restaurant serves an original buffet lunch and breakfast. 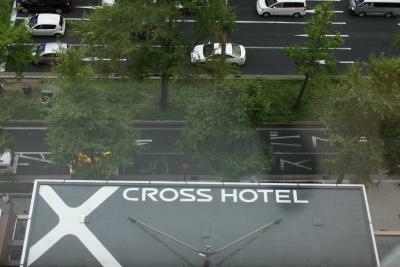 When would you like to stay at Cross Hotel Osaka? Guests relax in the modern furnishings and enjoy watching the flat-screen TV. This air-conditioned room has a fridge, an air purifier and a private bathroom. 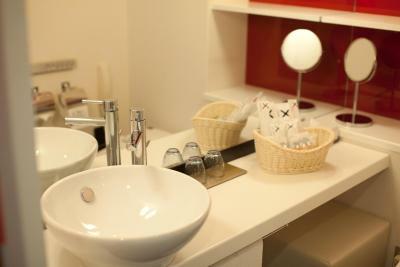 Hairdryers, slippers and bath amenities including a toothbrush set are provided. Guests will also find a green tea set in the room. Public parking is available on site (reservation is not needed) and costs JPY 2500 per day. This room is larger than the standard Double Room. 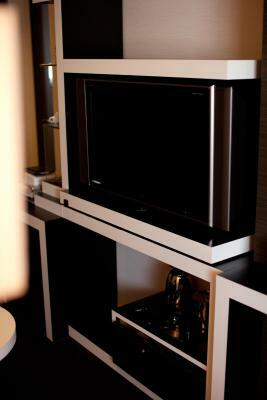 Guests relax in the modern furnishings and enjoy watching the flat-screen TV. This air-conditioned room has a fridge, an air purifier and a private bathroom. Hairdryers, slippers and bath amenities including a toothbrush set are provided. Guests will also find a green tea set in the room. 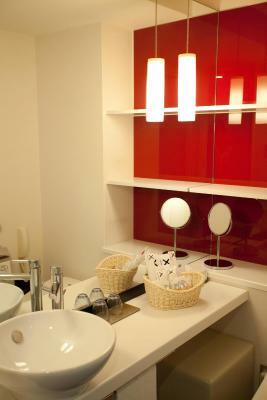 Guests relax in the modern furnishings with red/white decors and enjoy watching the flat-screen TV. This air-conditioned room has a fridge, an air purifier and a private bathroom. Hairdryers, slippers and bath amenities including a toothbrush set are provided. Guests will also find a green tea set in the room. This room features air conditioning and electric kettle. Hairdryers, slippers and bath amenities including a toothbrush set are provided. Guests will also find a green tea set in the room. Property staff will allocate either a twin or double room to guests upon check-in. Requests for room types can not be accommodated. This double room has a electric kettle, air conditioning and flat-screen TV. Hairdryers, slippers and bath amenities including a toothbrush set are provided. Guests will also find a green tea set in the room. This twin room features air conditioning and electric kettle. Hairdryers, slippers and bath amenities including a toothbrush set are provided. Guests will also find a green tea set in the room. This twin room has air conditioning and electric kettle. 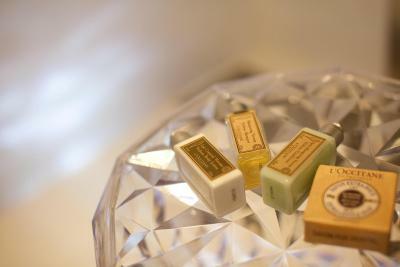 Hairdryers, slippers and bath amenities including a toothbrush set are provided. Guests will also find a green tea set in the room. This suite features a electric kettle and air conditioning. Hairdryers, slippers and bath amenities including a toothbrush set are provided. Guests will also find a green tea set in the room. This suite has a spa bath, air conditioning and electric kettle. Hairdryers, slippers and bath amenities including a toothbrush set are provided. Guests will also find a green tea set in the room. House Rules Cross Hotel Osaka takes special requests – add in the next step! Cross Hotel Osaka accepts these cards and reserves the right to temporarily hold an amount prior to arrival. From Kansai International Airport: Use Nankai Limited Express to get to Nankai Namba Station (a 35-minute ride). The hotel is a 10-minute walk from Nankai Namba Station. Please note breakfast is not complimentary for children. Additional charges will apply regardless of age. Please note, children who are 12 years and older may not sleep in an existing bed.